The Dreaded Long Distance Run! Training during spring has progressed great, and except for 10 days with a cold, I have managed to follow my training program. This has meant three weeks with nine sessions per week (three each discipline) with a total of 10-12 hours, followed with one easier week at around 6-7 hours. Compared to last year I have a much more regular training flow, and by skipping cross country skiing this year, a much more consistent training in the triathlon disciplines. I also skipped training camp in Mallorca this year, so total hours is probably less compared to last year. Bike hours are also fewer, but last year my main training set-up during May was a very long group ride on the weekend (4-6 hours) and then only one extra ride per week - this as I then trained for Vätternrundan and was what I could squeeze in. Now I have more sessions and have used the trainer much more for more controlled efforts during training. I believe it is giving good results in power output, and I don’t need the 4+ hours rides for the distances I will compete in this year. I have also managed to keep a consistent swim schedule with three times per week (last year two) and also uninterrupted running since November. The feeling right now is that my overall physical state is slightly better than last year: I set a new PB in 1000m pool swimming in April, good pace on the bike on the longer runs and doing higher wattage indoors, and running feels great with a few PB’s on my training loops. Key – as always – will be to keep the consistency and stay away from injuries, especially while running. I am very happy with the set-up of reducing the effort on my long runs, keeping them at 4:50-5:00 pace, but maintaining high effort on the shorter runs, this seems to allow me to stay away from overtraining symptoms. 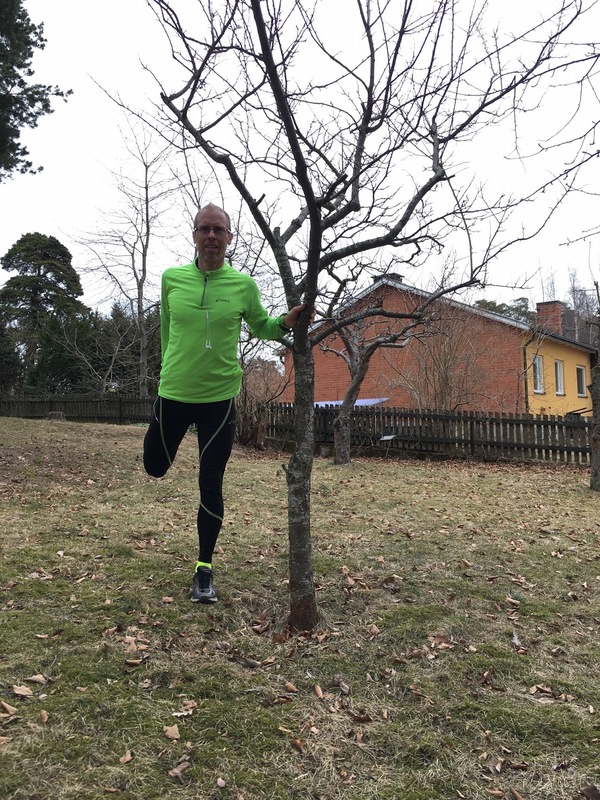 First race of the year is coming up in a few weeks time – the Stockholm Marathon. I have set my goal at trying to run it on 3:15 hrs, which will require an average pace of 4:37 per km. This is a very ambitious goal, and I see a 50/50 chance to be able to reach it. Going so fast for so long requires a lot of previous training, and I have only been doing three runs per week with an average of 40-50km per week. This is definitively on the low end for running marathons at that pace, but on the positive side I have as I mentioned managed to be consistent for 6 months now without injury. There is one critical piece in the marathon training that always makes me nervous and jittery – the dreaded long distance runs. 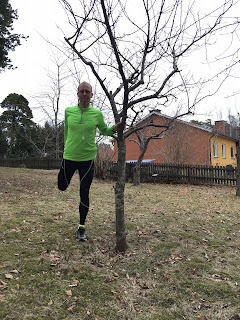 Once per week (normally weekends) I have a 25-32km run scheduled to work on endurance, strengthen ligaments and joints, and getting used to being out for a long time. With my target pace this means 2-2:45 hours of running. Nice and steady is key here, no need to push the pace but really focus on being out for as long as possible. 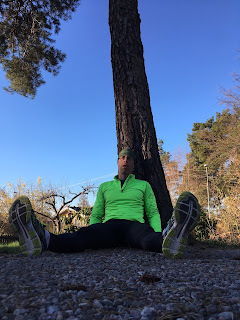 Maybe for other people, going out on long runs is just pure pleasure and relaxation. For me though it always makes me nervous ahead. First thing is just acknowledging that I am taking up much of family time for this run and managing that feeling. Not only is it just the run itself, but afterwards some stretching, getting changed and then afterwards trying to survive the rest of the day with extremely tired legs and a strained body. Staying in the sofa like a zombie is unfortunately not an option, although I do feel like that many times… I need to be able to continue the day doing some activities with the rest of the family. 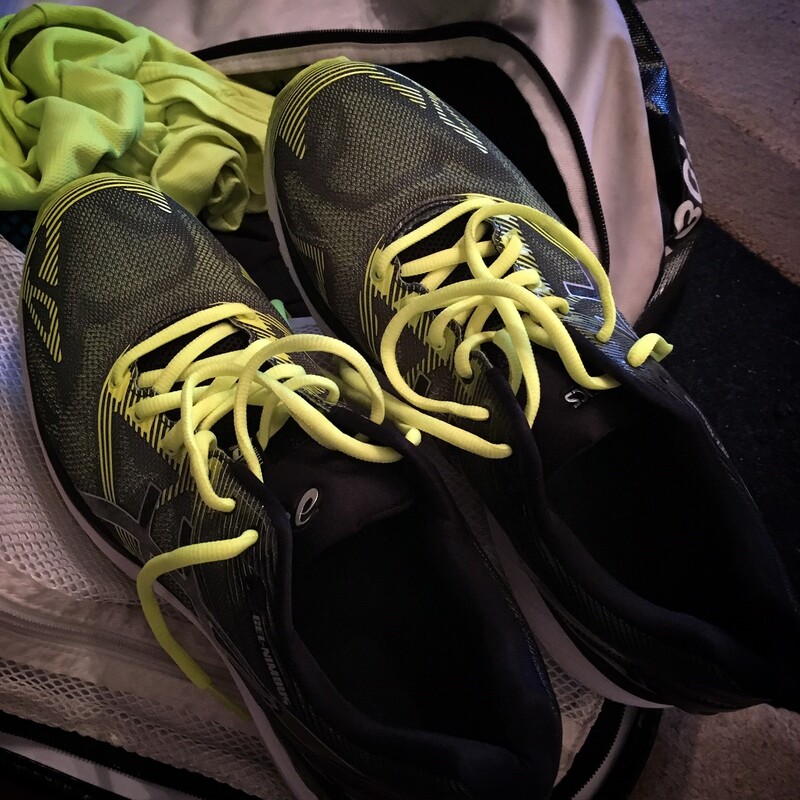 The tiredness after a really long run can stay for a day or two. Secondly you have the weather to plan around. So far this year it is few days we’ve had above 10C, which implies cold environment and often windy. You know that after 2hrs on the run it might start getting at you if you’re too cold or too hot. 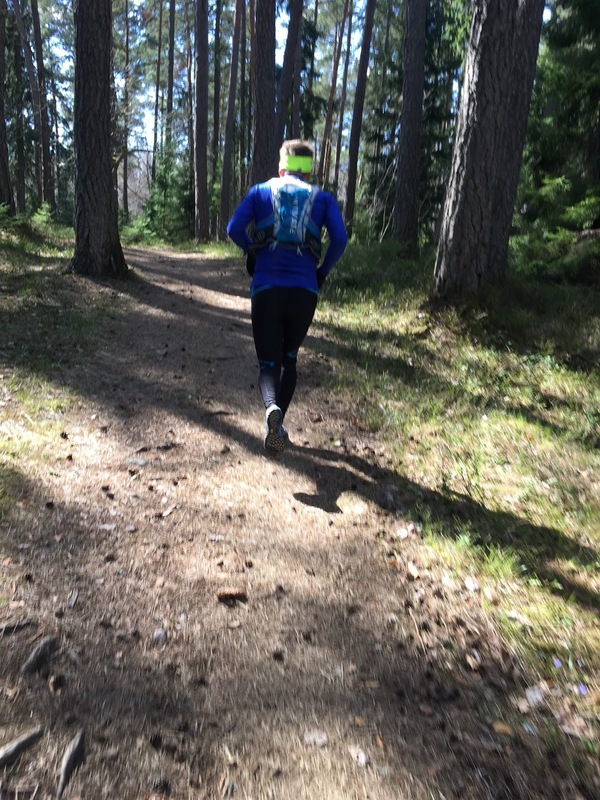 Trail running with company - much more fun! Lastly, it is off course some nervousness around the shear effort of running for a long time. The first 15-20 km are normally “easy” once I get out, but I know that the last 5-10km will require some extra will power as legs inevitably starts getting tired and you get into the mental pushing phase. If I can run effortlessly up to 20km, I know I have had a good day. If the stress starts already after 15km, it will be a tough run. If I’m lucky enough to have company on the runs, this always helps a lot, but this doesn’t happen to often. You're supposed to be tired afterwards! So, even though the feeling after a long distance run is one of accomplishment and knowledge that I am one step closer to the marathon, it does require quiet some will power and mental preparedness to get out. The nervousness often eases off after the first kilometer and I can enjoy the run itself, just as it should be. Afterwards, tired or not, it is always a pleasure to make a tick in the box of that training session and start planning for the next. I am extremely pleased to have done consistent 20k+ runs every week since January, and it seems to be reflected in my running form. 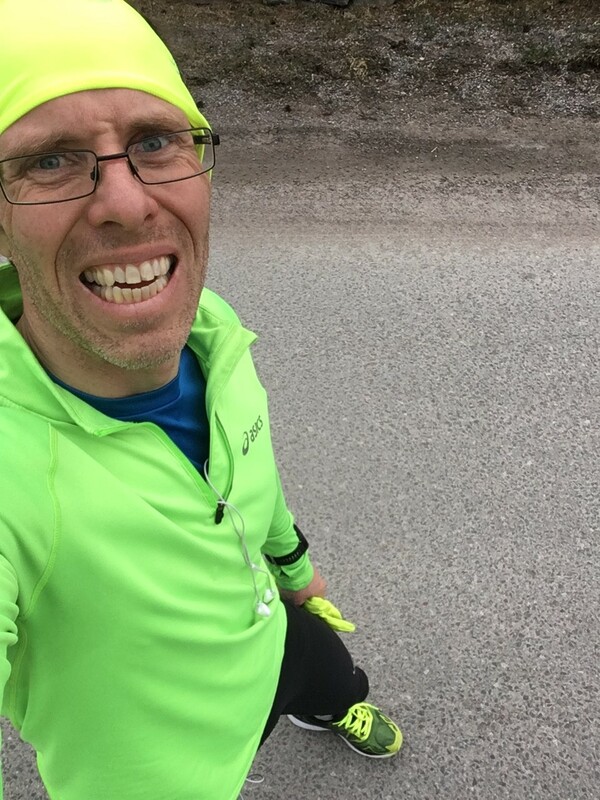 Now I only have one long run left in my schedule (27k plus the marathon itself), and after that I will lower the distances to 15-20k for the remainder of the season. Can’t wait for that!